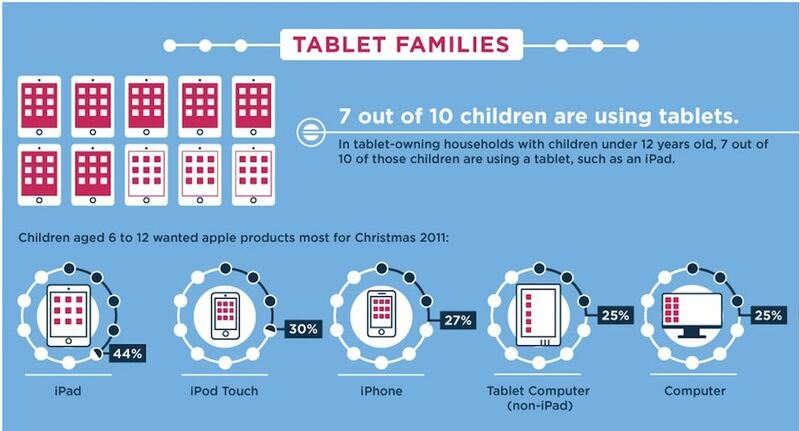 So You’ve Bought Your Child an IPad, Now What? You’ve heard all the buzz, you’ve seen your child’s peers with one, you’ve waited for hours at the Apple store and finally got your child an iPad, so now what? This holy grail has become a bit confusing for parents and educators to navigate. It promises so much. It might help your child communicate, could improve their reading skills, helps with math and more! All lofty promises, but first things first, here’s what you should do once you’ve got an iPad, step by step. Inside the box you’ll find the iPad itself, a wall charger, charging cable and some simple instructions. The iPad does not charge with your computer so you must use the wall. You’ll notice the iPad itself feels vulnerable and quickly want to purchase a case. If you haven’t already, look online for the most kid-friendly iPad cases or iPad cases reviewed online that provide insight into how good the case is (especially with regard to different age groups). Things to consider: Does it have or do you need a stand? What about a handle or strap to carry it with? Is it easy to clean? Is it made to be stylish or functional? Will crumbs get easily trapped in its pieces? Does it have a speaker? A rugged case may not look as great but might be a good investment if it offers more durability. A screen cover is also necessary to prevent scratches. In order to back up and install applications, “apps” on your iPad, you’ll need an iTunes account. This is usually done from a desktop computer which also has iTunes. If you don’t already have it, download it from the Apple website. When you want to purchase or browse for new apps you’ll use the iTunes store or “App Store” from the iPad to do so. On the iPad home screen you’ll see an app titled “Settings.” This is important to know because it will be the place to connect to your WiFi network, make security/password restrictions, disable the user’s ability to buy more apps and disable the home button to keep them locked into an app (called “Guided Access”). This is perhaps the biggest challenge – how do you find quality applications for children with various abilities, skill levels, language and ages? The answer isn’t that simple. Keywords you might consider searching online initially are “apps for special needs” or “apps for Autism” or “apps for speech and language.” This is only an initial search because these will give you great resources but very broad ones. Once you’ve found broad lists, consider your child’s specific needs. If you’re searching “Autism apps” you’ll find plenty, but what about “visual schedules?” or “social story apps?” these will refine your search. Before purchasing anything from a generic list of apps, make sure to ask, “does this fit my child and the goals I have for him/her?” Don’t buy them just because they are listed. Subscribe to a listserve that targets your child’s specific goals, get recommendations from their educators or ask other parents. If you find an online website that provides weekly reviews of apps, also subscribe to their Facebook page for frequent updates and often times, giveaways. Look for “lite” or “free” versions of an app if possible. These are usually a great way to try the functionality of the app and see it in action without spending money. If you like it, purchase it later. To get a preview of how the app might function before you buy it, try typing the name into YouTube. Many people provide online reviews, previews or tutorials of new apps. 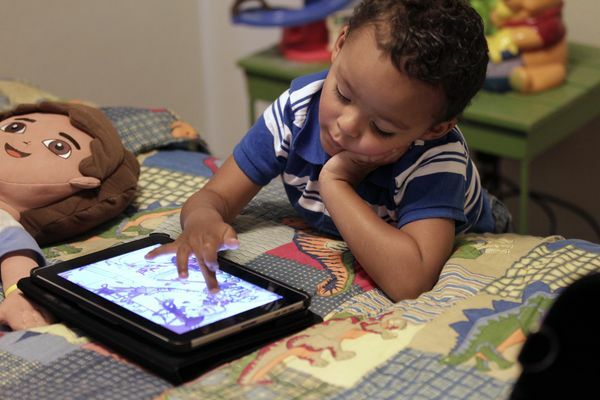 If you are implementing your iPad for Augmentative Communication, speak to your child’s speech-language pathologist and request an evaluation for AAC. They will evaluate your child’s needs and decide if the iPad is the best fit, how to implement it or direct you towards another piece of technology. Remember that technology is a great tool but needs to be used thoughtfully. Be conscious of the apps you download, the purpose and the amount of time your child spends with it to make it the most effective.